Join us for a guided walk from Girrahween Park to Turrella Reserve on Saturday 11th April. 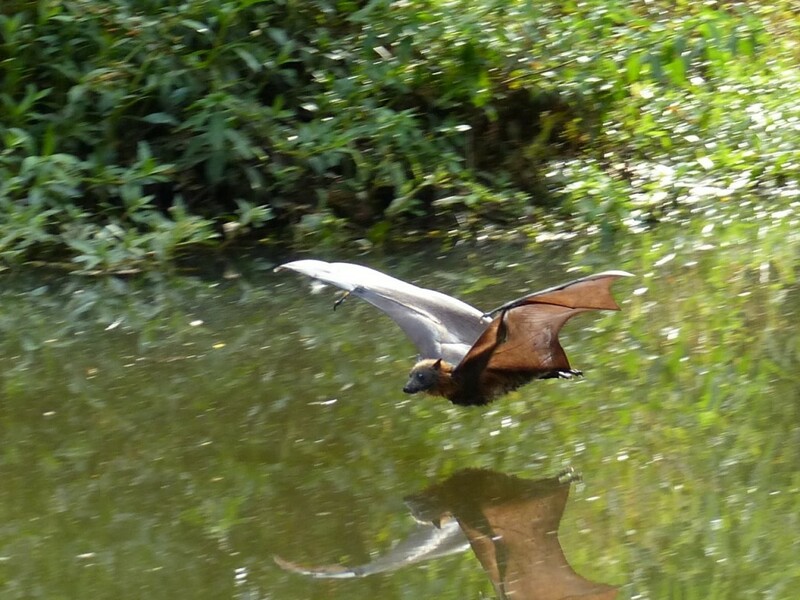 The focus will be on the Grey-headed Flying-foxes that roost in a camp by Wolli creek at Turrella, and some of the plants that they rely on for food. We will encounter some of these native plants species along the way. The walk will start at 4 pm and finish close to dusk. Stay on to watch the camp start to stir in preparation for fly-out, and then watch the amazing sight of the fly-out as many thousands of Flying-foxes exit their camp in search of food. This is a one way walk, finishing near dusk, so if you need to return to Girrahween Park, you will need to catch a train from nearby Turrella station or arrange a pick up at Turrella Reserve.